Defra’s Chief Scientist Professor Ian Boyd and Chief Vet Nigel Gibbens answered questions about the badger cull pilots live on Twitter on Wednesday. 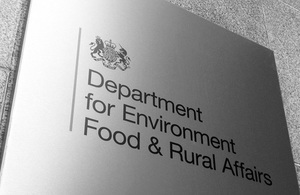 They answered questions from 12-1pm via our Twitter account @DefraGovUK about the science and evidence upon which the policy is based, and the Government’s wider approach to tackling the spread of TB in cattle. The live Twitter Q&A on the badger cull has been collated on Storify.